Last year your generosity changed Doguy’s life. Your support alleviated his suffering. Now he is in danger of losing his only eye. You are all that stands in the way of a life of blindness and isolation. Donate to save this brave chimp and keep his future bright! Poachers in the Democratic Republic of Congo shoot down families of chimpanzees to sell the adults as meat. The infants, too small to kill for meat, are often smuggled south to Zambia and then trafficked around the world. Many spent their lives in horrific cruelty. JACK (Jeunes Animaux Confisqués au Katanga – Young Animals Confiscated in Katanga) lies along the trade route to Zambia. Because of JACK’s work for stronger enforcement of laws against wildlife trafficking, this smuggling route has closed and there hasn’t been any evidence of chimpanzee trafficking in the area for four years. Now JACK provides long-term care for 37 rescued chimps and continues to work to protect chimpanzees from extinction. Despite the endorsement of international agreements to protect wildlife, Congo did little to stop habitat destruction, poaching and sale of chimpanzees. Today, chimpanzees are an endangered species. That’s why JACK Chimpanzee Sanctuary got its start. 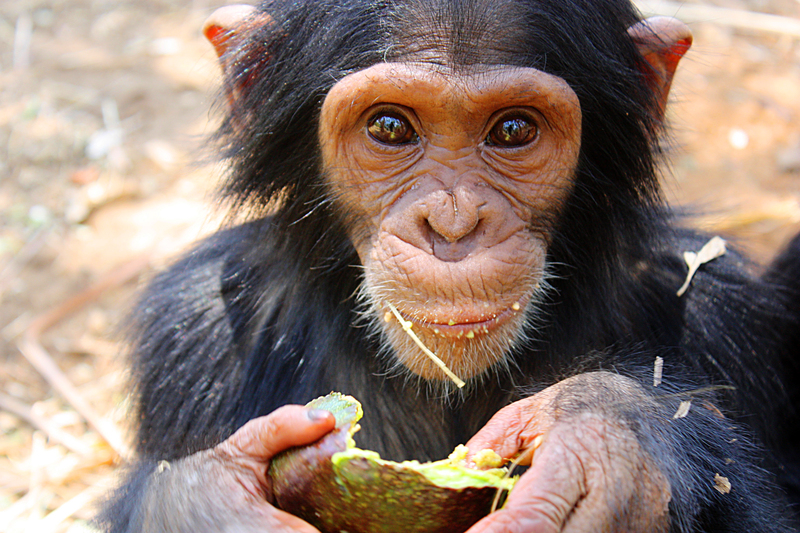 With a growing human population, Africa’s need for living space and farms has squeezed chimpanzees’ natural habitat. Logging has also taken a toll on places chimpanzees used to call home. And they are hunted for food or sold as pets, or killed for medicinal purposes or for crop protection. As a result, Africa’s chimpanzee population has dropped from one million in 1960 to just 200,000 or 300,000 today, and chimpanzees are now an endangered species. Some 40% of them live in the Democratic Republic of Congo. Jeunes Animaux Confisqués au Katanga (JACK) – young animals confiscated in Katanga (DRC) – is an independent NGO started in 2006 with a two-fold mission: To stop the illegal trade of apes in DRC’s Katanga province by enforcing its laws and to give the confiscated ape orphans a decent refuge with all the needed love and care. JACK targets individuals who pose an immediate threat to apes (tourists, expatriates who are likely to purchase a primate pet), and supports those who can help control threats faced by apes in the wild (soldiers, government authorities, wildlife officials). And because conservation can only take place through education, JACK also operates an Education Center built through donor support. 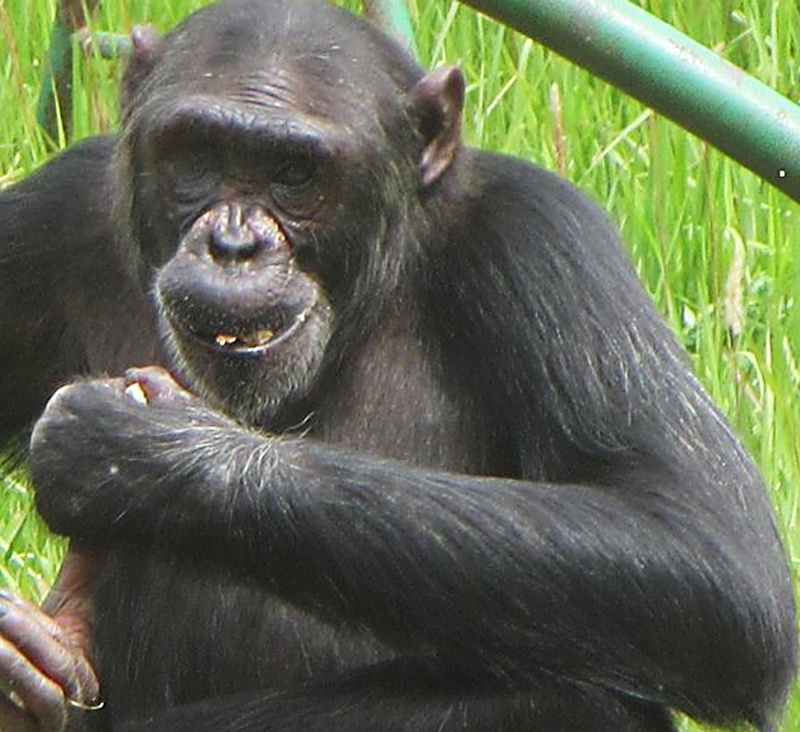 Learn more about the JACK Chimpanzee Sanctuary. Your donation will be processed by the Pan African Sanctuary Alliance (PASA), of which JACK Chimpanzee Sacntuary is a member. PASA is registered in the United States as a 501(c)(3) nonprofit organization. Donations are fully tax-deductible for U.S. taxpayers.